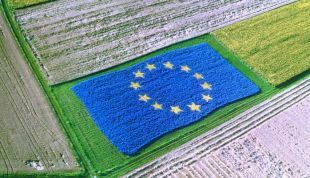 The European Commission intents to publish at the end of 2018 a report on a “Protein Plan for Europe” that will build upon existing knowledge and various initiatives, which are already on-going at national and regional level to support plant protein production in the EU. As a first step in the preparation of this report, the Commission is collecting information on the current situation regarding plant proteins in the EU by means of a stakeholders’ survey on the “Protein Plan for Europe”. Bridge2Food has already made a manifesto in 2017 called ‘Protein 2030’. This manifesto was the result of discussions with 50 CEO’s who attended the 10th Protein Summit 2017. The manifesto focussed on the sustainable development goals in view of the demands, opportunities and threats from a societal, health, climate, economic, industry and agricultural point of view. When you are interested in this manifesto, send an email to gkleinessink@bridge2food.com. Bridge2Food will submit to the EU a proposal as a key stakeholder on 22 March, before the closing date of 23 March, following the ideas of ‘Protein 2030’, and in view of the 11th Protein Summit 2018, 24-26 October in Lille (France) (see: http://bit.ly/2CJQclG). There are two options for you to join the debate and share your views. 1) Easy option (saving 20 minutes of time): send your ideas before 22 March to Gerard Klein Essink (gkleinessink@bridge2food.com) and he will include them in the stakeholder survey. Fascinating times in the protein world in Europe!